Our products are printed with care to achieve the very best possible quality while maintaining competitive prices and quick service. 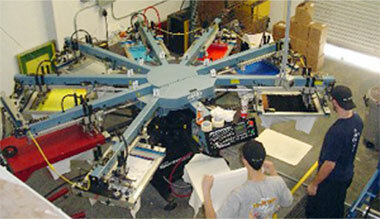 The professionals at Daytona Sportswear have taken screen printing to its most technical & professional heights. Every day, we research and investigate new screen, transfer, and stencil technologies. We provide the best direct prints in the market because we are always looking for the best way to add your logo to any product in the most cost-effective manner, without sacrificing our high standard of quality. Our in-house art department can help you create a unique custom design for print or embroidery. Answer: Screen printing is a stencil method of print making, in which a design is imposed on a screen of polyester or other fine mesh, with blank areas coated with an impermeable substance. The screen's open areas allow the transfer of ink or other printable materials onto the medium being printed on, such as a shirt. A squeegee is moved across the screen stencil, forcing or pumping ink into the mesh openings and onto the shirt as the squeegee passes. In short, it is the process of using a stencil to apply ink onto another material. 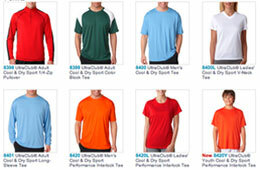 When done correctly, custom screen printing on T-shirts, fleece and other apparel and accessory items is an art form. The print must be rich, clear and bright, supple and comfortable to wear. At Daytona Sportswear, our goal is for our screen printing is 100% satisfaction100% of the time.